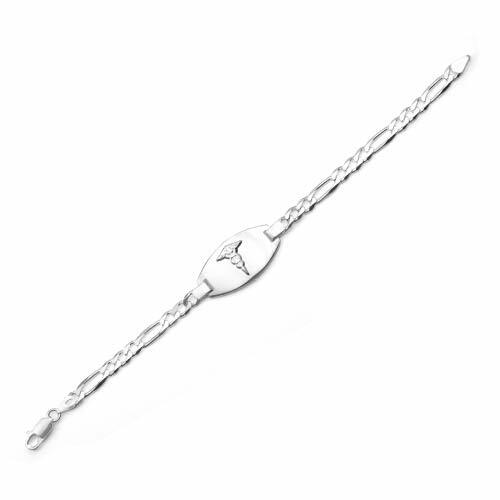 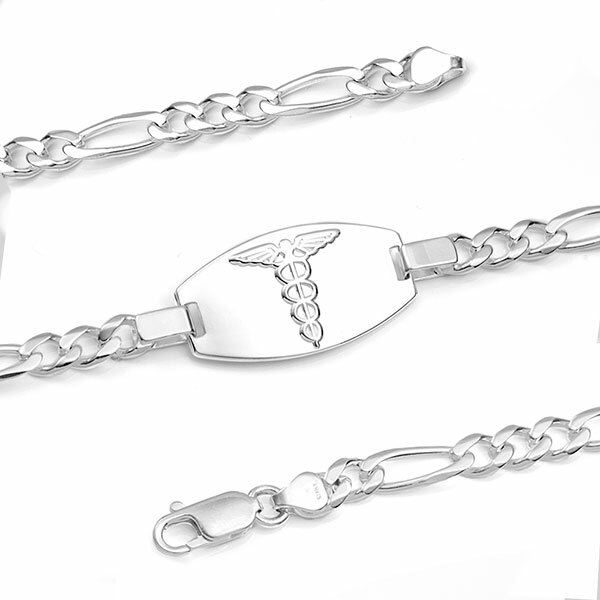 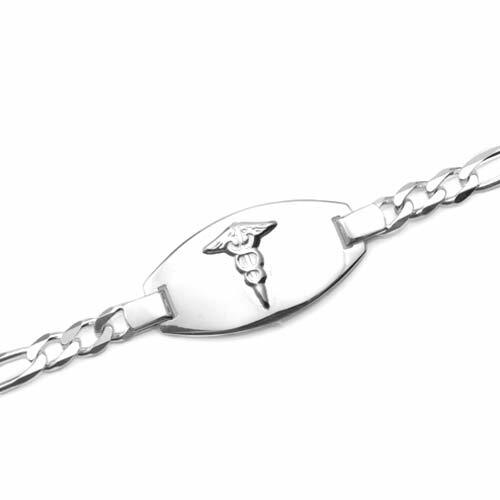 Figaro links and an embossed medical symbol on the plaque make this a unique sterling silver medical bracelet. 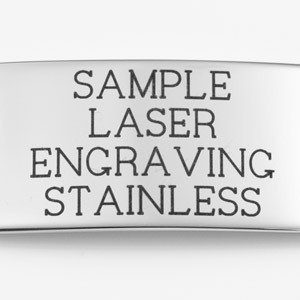 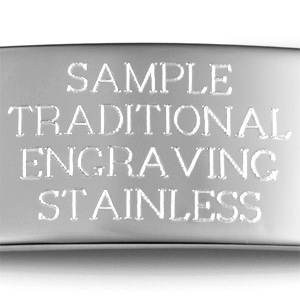 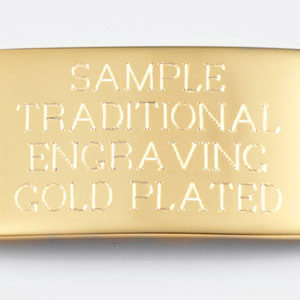 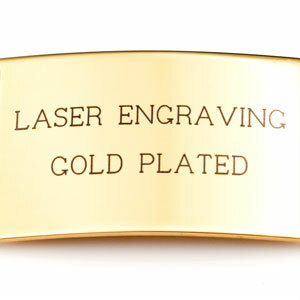 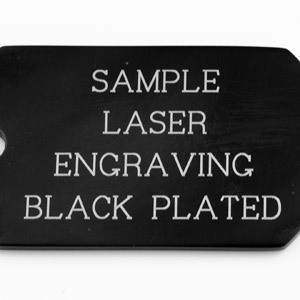 Personalize it with your medical instructions with custom etched engraving on the back. 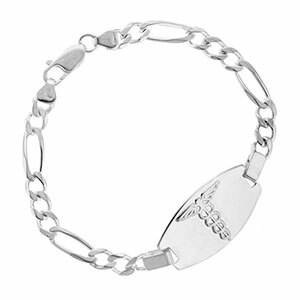 It is unisex and a beautiful accessory to any outfit.